Vail Resorts has made another big purchase. 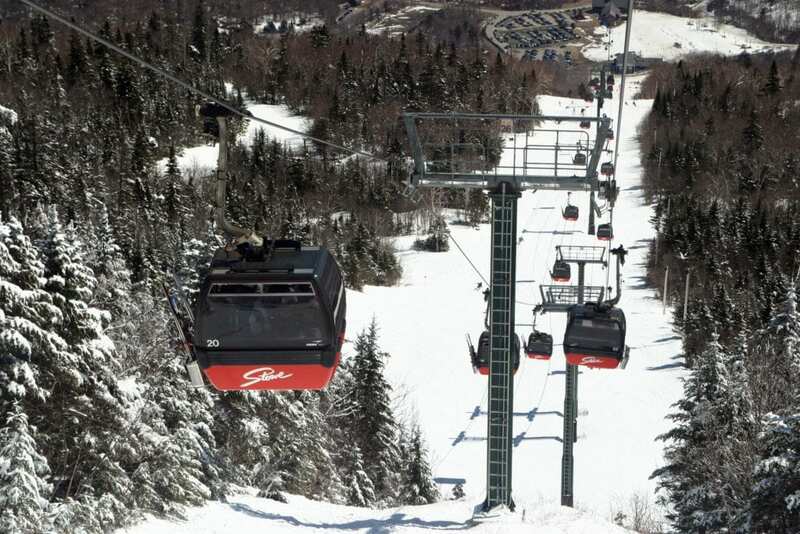 Last week Vail Resorts finalized the acquisition of Stowe Mountain Resort in Vermont for $50 million. Vail Resorts owns ski areas in Colorado, California, Utah, Wisconsin, Minnesota, Michigan, British Colombia and Australia but has lacked presence on the East Coast until now. With Stowe being in the New England area Vail is hoping to attract skiers from the Boston and New York areas. The 485 acre Stowe Mountain fits Vail’s profile with a long history of providing excellent hospitality and adventure for its guests. It has reinforced its respected brand with world-class improvements both on and off the mountain. Stowe’s most recent improvements and facilities include the Spruce Peak Adventure Center, the new Meadows Quad on Spruce Peak, Evolution Stowe’s Radio Frequency Identification (RFID) tickets, RFID passes and gates; and the new Shops at Spruce Peak. Spruce Peak also has new high-speed lifts, new base facilities and gourmet restaurants. Vail however is not acquiring the renowned Stowe Mountain Lodge at Stowe Mountain Resort. This 312-room hotel and spa has been recognized as one of the greenest and most luxurious mountainside hotels in the world. American International Group will keep ownership of the lodge. In the past, Stowe Mountain has had some of the priciest day tickets in the New England area, peaking at $124. Vail Resorts’ flagship mountain, Vail is known for having the priciest day tickets in the country reaching $189 a day this season. The elevated pricing of a day ticket pushes many skiers and riders towards buying the Epic Pass. Last Time Vail Resorts bought a new resort they shocked the industry with the purchase of Whistler Blackcomb for $1.1 Billion, paying a record-setting price for North America’s busiest ski area. Vail Resorts operates the Vail, Beaver Creek, Breckenridge, and Keystone ski areas in Colorado, Northstar at Tahoe, Kirkwood Mountain Resort, and Heavenly Ski Resort on the California-Nevada border. It acquired the Grand Teton Lodge Company (GTLC) within the Grand Teton National Park in Wyoming in 1999. The GTLC properties include the Jenny Lake Lodge, Jackson Lake Lodge, and Colter Bay Village. October 25, 2010, Vail Resorts Inc. acquired a long-term lease on Northstar-at-Tahoe Resort in California for $63 million cash. February 22, 2012, Vail Resorts Inc. acquired Kirkwood Mountain Resort for approximately $18 million. December 6, 2012, Vail Resorts Inc. acquired Afton Alps in Minnesota and Mount Brighton in Michigan for $20 million cash. May 29, 2013, the company announced a 50-year lease of Canyons Resort in Park City, Utah. September 11, 2014, Vail Resorts Inc. announced the acquisition of Park City Mountain Resort in Park City, Utah for $182.5 million in cash. Then in 2015, Vail merged Park City Mountain Resort with Canyons Resort via an interconnect gondola to make one large resort operating under the Park City name. March 30, 2015, Vail Resorts Inc. acquired its first Australian resort, Perisher Ski Resort for approximately $136 million. January 19, 2016, Vail Resorts Inc. acquired its third urban ski area, Wilmot Mountain in Wisconsin for approximately $20 million. August 8, 2016, Vail Resorts Inc. announced the purchase of the Whistler Blackcomb ski resort north of Vancouver, British Columbia for $1.4 billion. February 21, 2017, Vail acquired Stowe Mountain Resort in Vermont for $50 million – the first ski resort acquired by Vail located on the East Coast of the United States.